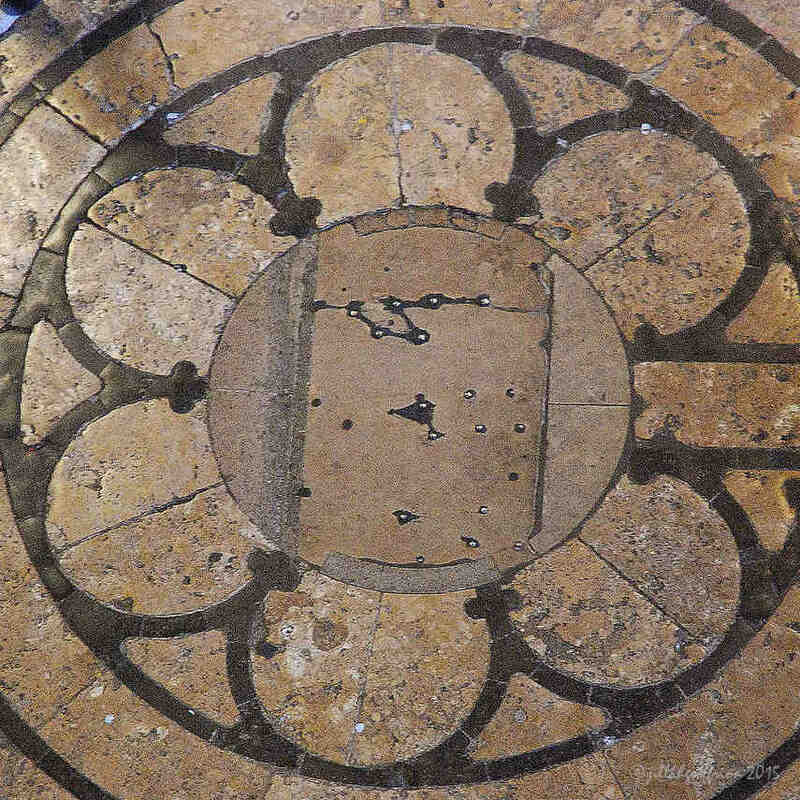 The Chartres labyrinth is open again after the restoration of the nave. When Are the Chairs Off The Labyrinth? When Is It Available For Walking? The schedule changes from year to year but in the recent past the labyrinth has been open most Fridays from approximately 10:00 am (sometimes it is open as early as 8h30) until 5:00 pm (before evening mass) starting in Lent (March or April) through All Saints Day (November 1). The labyrinth is not open on Good Friday, during certain pilgrimage times in May, sometimes during one Friday in September which changes from year to year depending on the concert schedule, or during certain cathedral events scheduled at the last moment, such as funerals. You can contact the cathedral staff at the Recorat (preferably in French) before you go to inquire about a specific date. Arrive when the cathedral opens at 8h30 and the labyrinth might be open (if the chairs were not removed the night before it will likely be uncovered at 10h00), or walk in the late afternoon (be sure to leave enough time to finish well before five o’clock as the chairs are sometimes put back on early) for the fewest distractions from tour groups and others that wander across the labyrinth unaware of its significance. In the past the cathedral has scheduled two after-hours french-language guided labyrinth experiences a year. One usually is during Advent and one during Lent. Inquire at the welcome (service-accueil-visites ) office about these. You can email them, but a phone call is more likely to get a quick response. 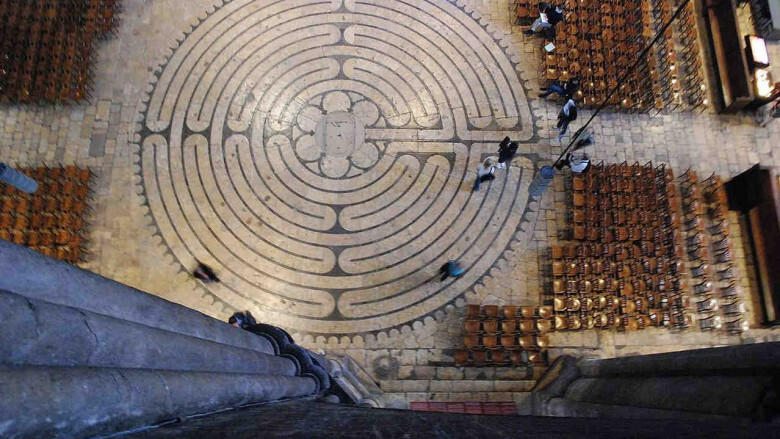 It is sometimes possible to arrange private labyrinth use for groups after hours by calling the French-speaking cathedral staff at 011-33-2-37-21-58-08 (from the US). The rectorat office understands inquiries as the beginning of discussion about availability which includes providing information about your group and your specific interest in labyrinth use. They prefer to work with groups or guides that they know and have worked with before. If they are open to your group using the labyrinth, they will give you a form to fill out before discussing a time for your group to use the labyrinth. A donation and tip for the sacristan who works after hours expected. Email is not the best way to make contact. If you email is not answered, call. In recent years it has become more difficult to arrange for private group walks.